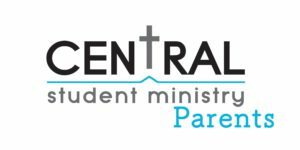 #CentralParents is a quick monthly dose of what is currently popular and going on in your kid’s world. At Central Christian Church, we know in the middle of crazy schedules and busy lives it can be difficult for parents to be aware of what is happening in popular culture. That is the heart behind why I’ve created this resource for you! Even if you are careful and selective concerning what you allow directly into your child’s mind, eyes and ears, the reality is some of the things listed below may influence them indirectly through fashion, catchphrases, and even commercials. As we approach this Christmas season, even gifts have been influenced by pop culture. We hope this monthly resource helps you as parents feel more informed and empowered to have great conversations with your family. Here are November’s lists of trends, with links to the original location of the information, if you have the time and would like to do more research. At the end of this blog post, I have also included website links to find helpful family-focused reviews and to view complete, unedited lyrics. Please keep in mind, this is real-world information and the unedited content, topics, and lyrics may be offensive.